Have you ever looked back at the path your life has taken and thought to yourself that it was all supposed to have turned out differently? Is there a part of you that still yearns for love, prosperity, joy and purpose, in spite of all the disappointments, grief, and resentments you’ve experienced? This is the weary and gravely dispirited place that millions of people find themselves in, and so you are not alone if you feel this way too. You see, it will often happen more than once in your life, when you feel utterly isolated and alone. No one is hearing you, no one can understand. So you stop trying to explain. Your suffering and your desires and all that is churning inside you begins to go unsaid until eventually you suffocate on all those unspoken things — those sometimes unspeakable things. After a while you begin to feel angered or resentful. Or perhaps you find someone to trust and you tell them your secrets… only to have them betray or disappoint you. I’m not saying that these things happen all the time or that they have to. But I am saying that they have happened to nearly every person I’ve ever talked to. And each person will lament that at the end of it all… they have nowhere to turn. Even with the world and their friends surrounding them, they feel they have no one. And so all that is left is God. Unfortunately, when you feel like this, you can often also feel as though God has abandoned you. This can be a deep, crushing spiritual pain to experience. The worst of it is the knowing that you were meant to do more, that there is a greatness inside you that is not being expressed or acknowledged… and that you have settled for a life where the best in you goes unspoken. And on top of it all, you can’t feel a connection to the Divine Presence you were told would always be there for you. Even as I write this, I can feel the response I would have had if someone had said this to me when I was in that hopeless, hurting place. Yes, it sounds like good news, but inside we don’t believe it. In my experience, we often cannot see Perfection, Divinity, Love or Mercy as possible for us. We cannot give these vital things to ourselves because we know too much about ourselves. We think ourselves unworthy of these things. We imagine ourselves to be something other than what we really are. We cannot see the Divinity that Divinity Itself has placed in us. We cannot see the Innocence. We cannot see the Perfection in our imperfection. Would you agree that you cannot create and experience that which you cannot see as possible? In this lies the paradox, and the challenge… because here’s the ironic thing: you will never allow yourself to receive from someone else what you do not believe yourself worthy of. And you will never not create or give yourself something you DO feel worthy of. So therefore no one else can give you what you have not yet given yourself. If you do not have what you crave in life right now, no one else can give it to you. And if you haven’t been able to give it to yourself, then what? In my experience, what is needed is a new perspective. We must learn to see ourselves and our life from a different place. And so it bears repeating: NO one is going to give to you what you have not already given yourself. So the time is now to give to yourself what you so deeply desire. And I understand how hard that can be. I myself found it brutally difficult at first. 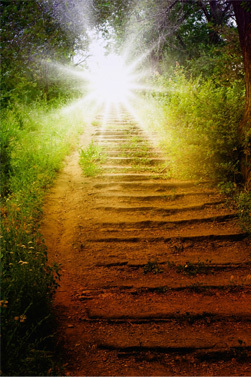 At least until I stepped through The Gateway: that passage that opened to me when I finally surrendered to Divine Guidance. So, with your permission, I’d like to teach you how to find and pass through that same Gateway — the one I found through my first conversation with God, when I turned to Him with an angry pen and grieving heart… when I poured out all my frustrations and doubts, to then be wondrously filled up with Divine Wisdom and Love. Through this Gateway, you can awaken to the Truth about who you are, why you are here, what your Purpose is and how to live its greatness into being. You will be able to internalize and apply teachings that can connect you to God directly, so that you can heal any separation you have felt. If, in the past you have suffered betrayal, broken relationships or a chronic disconnection from those you love or crave to receive love from.. you can wipe the slate clean and step into a life of soulful connection, unconditional love and healthy communication. If, in the past you have endured struggle, failure and a lack of proper financial means or you’ve spun your wheels on that dream or business that just never took off… you can wipe that slate clean and step into a life of easy prosperity because you act from Purpose, with confidence and a sense of Worth. If, in the past you have witnessed a world that is cruel, unfair or unsafe for you and others… you can surrender those wounded eyes and receive the Sight of Divinity that will show you the graciousness of others, the unconditional love that pervades and persists, and the greatness in you and others that will rise up to turn this tide. If, in the past you have been broken… you can now choose to wipe the slate clean, and step forward into a future that is free, limitless, and exactly what you dream it could be. Because you will discover that YOU are exactly who you dream you could be. I did not consider myself to be a special man. When I reached my crossroads, I had failed as a husband and a father and was no longer living with my family. Shortly thereafter, I was struck in the street by a car and left with a broken neck. My doctors told me I was lucky to be alive. I wasn’t so sure. After more than a year of physical rehab, I was unable to find work anywhere. No one else would hire me and soon I couldn’t even maintain my tiny excuse for an apartment. Within months of being released from physical rehab, I was on the streets. Homeless. I got a good hard and honest look at living life at the bottom. I had to endure the wet and frigid weather of Oregon, living out of a tent and collecting cans in the park and out of trash bins to recycle just for enough coins to buy food. I felt empty, hopeless, and utterly forsaken. Eventually I found a few modest jobs and finally got a roof over my head. But nothing could fill the pit in my stomach. Something was stolen from me during those hard years, and I didn’t know how to get it back. And then, as you probably know, one day I wrote an anguished and furious letter to God. I hadn’t expected an answer, yet somehow a soft and gentle voice responded and that night, I began my conversations with God. Over the years, those conversations freed me from my own prison. They nourished me and awakened me to a new perspective and approach to life. Where once life seemed an uphill battle, I now live a life of deep purpose, connection with loved ones, and fulfillment. Every day I’m closer to who I know I could be. And now, after stepping into a truly wonderful and awe-inspiring life… after 21 years and 30 books… I still don’t consider myself to be special. I wish I could describe to you what that transformation was like: to crave and hurt and hope for so many things that never showed up for me… and then to surrender it all to my higher and truer yearning for God. When I focused on wanting God, that’s when everything else showed up. Because it’s all connected. And we can spread ourselves so thin across so many areas of life and things that we want, until our effectiveness dwindles to zero. It turned out focusing on so many external things just didn’t work. So why not go straight to the singular, ultimate and ONLY Source? When you make that one shift, your world shifts with you. And I can show you how to make that shift, because I want this same fullness and overflowing for you. Not just in your finances, or just in your relationship or health — I don’t want you thinking small here. I want you overflowing in all dimensions of your life. I want you to touch the fabric of limitlessness with your own fingertips. I want you to know the kiss of the sun that dawns on your greatness and sets on your contented delight. I want you giddy, peaceful, and lit up with possibility. Not because you hope for a new life, or even because you believe in its possibility. But because you have stepped into the actual living of your new life. It won’t look like mine. But it will look precisely like yours! Are you ready to step into the grandest notion of life that you ever thought possible? During these 7 weeks I will give you tools, exercises and understandings that will help you live your life from the perspective of God. I will hold your hand and walk you through the Gateway, step-by-step, and lead you into limitless possibility, which is your right as a human being. 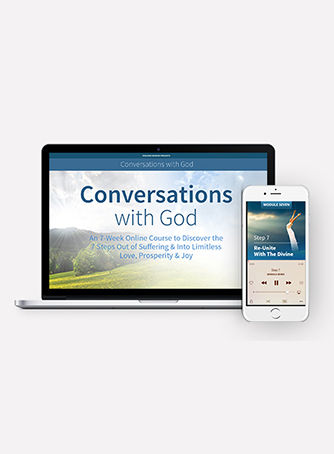 This course goes beyond the Conversations with God books to streamline and translate their more than 3,000 pages of information into applicable teachings with step-by-step guidance for everyday living. Let me use an analogy here: cooking is not just about reading the cookbook, it’s about getting in the kitchen and making the meal. Anyone can read a recipe and imagine that delectable feast. But for those who step into the kitchen, brazenly tackling each step of the recipe even when flour dusts their cheeks and clothes and egg yolk is getting stuck in their hair — these are the people who are rewarded with a meal they can enjoy and share with their loved ones. For them, taking each step in the recipe will create a revelation for their senses and nourishment for their body. And what makes a meal a revelation isn’t so different from what can make your life a revelation. It’s about following the right process, in the right order, and installing that information into your daily life as lived wisdom and behavior. It’s about following the recipe and making the meal. Because lasting change and true healing require more than intellectual understanding. You must transform from the inside out, by living what you learn until it becomes wisdom… habit… and Truth. You must not only consume this information, but apply it, use it, and live it in your everyday life. A single epiphany is a wonderful thing, however you must live that epiphany in your daily action for it to affect your life and create the kind of change you crave. …and why this course is a one-of-a-kind experience that will help you shift into a higher perspective and vibration, to free yourself forever from the prison of your current woundings and limiting beliefs. When you take each of these 7 steps in the order they are taught, you can then rapidly move through the evolution of your own soul and expand your life and sense of bliss to levels you never dreamed existed. In essence, you raise your perspective toward and into the Sight of God. As we discussed earlier, you can only create and experience what you see as possible and existing. Do you now understand why adopting God’s limitless perspective is the Gateway to what you want? I’m truly grateful and inspired that you’re considering joining me for my Conversations with God Essential 7-Week Online Course. I’ve been sharing the teachings in this program for many years now, and I know from the letters I’ve received that it has given many thousands of people the deeper connection to God and to themselves that was missing from their lives. When I first began my own conversations with God and discovered how to listen to God’s responses, I was in a place of deep despair, and those conversations not only saved my life in many ways, they have turned my life into one of great meaning, adventure and joy. This is the very experience I want for you, and know is possible, regardless of what your experience of your life is now. One of my greatest joys is helping people like you to learn how to speak with God, and then watching how completely that new relationship transforms their experience of their lives and shifts their energy into a place of greater connection and compassion. I hope you’ll let me show you how to begin having your own conversations with God. How to identify with greater clarity than ever before your present and fullest truth about work, relationship, parenting, health, sexuality, and every other aspect of your daily experience. How to align your outer life, in all its aspects, to be in integrity with your Divine path.so that you can align your life to be in integrity with your Divine path. Tools with which to express your truth in a way that others can hear and can accept without feeling either wounded or damaged in any way, so you can speak honestly, but with peace. How to identify and articulate what you want to experience in your life in all future moments through a unique process that calls forth the power of the Divine to help you manifest it. Why “wanting” something is the most non-beneficial thing you can do as you invoke the metaphysical laws of the universe, and what to do instead to bring everything you need into your life. The True Nature of God and exactly what it is that God expects, requires, and demands from every human being. What it means to be “happy” and how it feels to embrace the idea that you may have the right to be happy. A 4-step process that can resolve internal conflicts and external complications more quickly than anything you might have previously imagined was possible—like an “aspirin” for healing the headaches of life. A step-by-step process that reveals how to create your reality moment-to-moment so that you’ll always feel the Divine working through you. How to quickly and easily change the thoughts and emotions that have been driving your previous experiences in life, so that you’re no longer at the mercy of what happens TO you. How to know what you should do next in life, based on your Divine wisdom as well as important information from specific experiences from your past. How to let go at last of past disappointments, angers, frustrations, resentments, and lack of forgiveness (of both Self and Others). How to be adept at identifying without hesitation, without shame, and without guilt, any emotional incompletion or hurt in your prior life — including hurts that others may have imposed on you, as well as hurts that you may have imposed on others. A process to identify the true goals of your life, including not only the goals of the Body and the Mind, but finally, the goals of the Soul. How to fearlessly identify the fears that have driven your life to this point, and how to dissolve those fears, one-by-one, using the wisdom of the Divine. How to identify the agenda of your Soul and the Souls of every other person who has been involved in any important event of your life. A healing device that allows you to come to reconciliation with every person who has ever done damage to you, or to whom you have ever done damage, through the days and times of your journey on the earth. A way to finish all of your “unfinished business” through the use of Deep Understanding and ultimately through the awareness that forgiveness itself is not necessary. A tool to recognize the true relationship that you have with the actions and choices you have made in your life, so that you can free yourself from the patterns that are holding you back from having an intimate relationship with your own Divine nature. A process by which you’ll have total control over the experiences of your life, so you’ll no longer be negatively affected by what happens TO you, but instead you’ll see meaning and Divine purpose in everything that happens THROUGH you. How to identify and express, through you, the truth of life’s ultimate and everlasting sufficiency. How to differentiate between what you are doing and what you are Being as the means and measures by which you create the expression of Self in the day-to-day world, so you can end self-judgment and be free from self-criticism. The secrets of creating inner peace and outer tranquility in the moment-to-moment of your experience through the deep exploration and practical application of the profound truths in the Triad Process. How to identify the vibrational aspects of what one might call “God’s viewpoints” about life and how to step into those vibrations on a moment’s notice. An understanding of what death really is and what occurs in the experience of the Soul at the moment we call death. A step-by-step instruction on how to create and sustain happiness in your hour-to-hour movement through life. The unique process by which you may have your own conversation with God as often as you wish. Neale has written 30 books on spirituality and its practical application in everyday life, including the Conversations with God series. Seven of those books reached the New York Times Bestseller List, and the first book in the series occupied that list for over two-and-a-half years. His most recent books are God’s Message to the World: You’ve Got Me All Wrong, The Only Thing That Matters, and Conversations with God for Parents: Sharing the Messages with Children. His books have been translated into 34 languages, selling nearly 10 million copies and touching countless people’s lives. 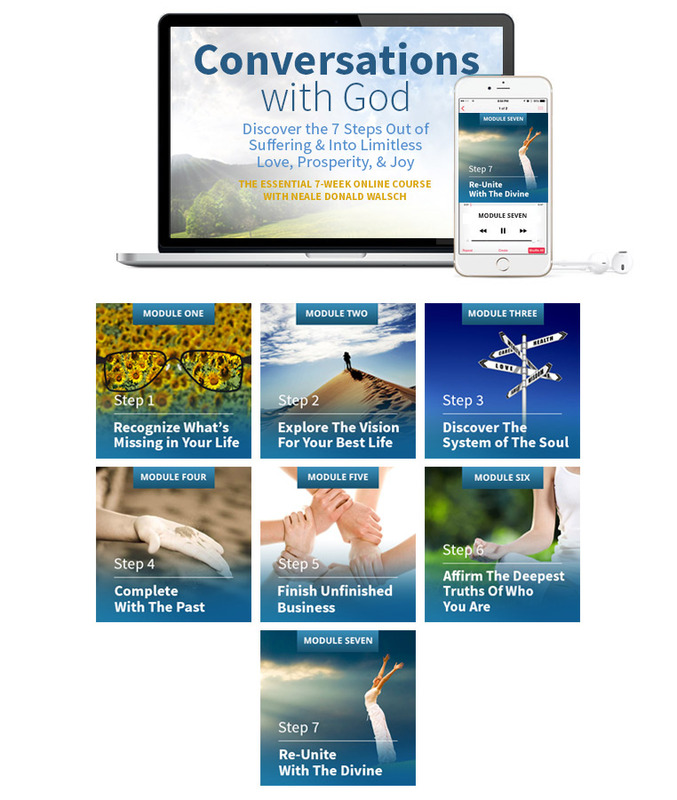 In each Course Session, Neale will teach you, step-by-step, the practical tools and techniques you will need to embody the messages of Conversations with God in your daily life. With Neale’s guidance you’ll discover new ways to end emotional turmoil, access your own Divine wisdom, and begin living your life with a deeper connection to God. These sessions will be released weekly via the Online Learning Portal, where you’ll receive unlimited access to listen online or download the mp3 files to your computer or digital device. Following each of the 7 Course Sessions, you’ll be able to listen to these Group Q&A Sessions that were recorded during a semester when the course was offered live. Many participants have shared that these downloadable Q&A Sessions were just as powerful and important as the actual Course Sessions to their experience in the program. During these sessions, Neale answers the kinds of questions that often arise during the course, and he also works directly with participants, using his unique coaching process to help them address their individual challenges. 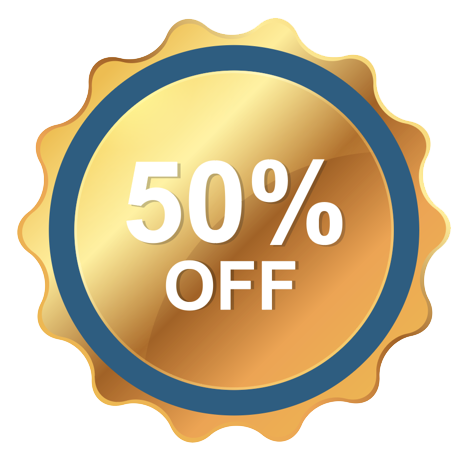 Just witnessing this coaching will allow you to apply Neale’s process to your own life and more quickly integrate all you’ll be learning in the course. And just as with the Course Sessions, these Q&A Sessions will be released weekly via the Online Learning Portal, where you’ll receive unlimited access to listen online or download the mp3 files to your computer or digital device. To guide and support you through the manifestation process, Neale has created weekly practice and reflection assignments that will empower you to create a new relationship with life and God. When you follow these assignments carefully you will begin to feel your spiritual vibration increase and you’ll sense a shift in your ability to create an intimate partnership with your Divine self. These will also be available weekly via the Online Learning Portal. 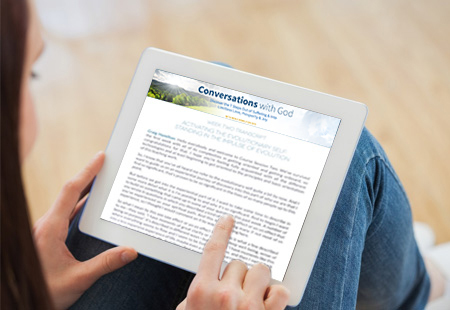 PDF transcripts are a great resource to go back and quickly reference key concepts and answers to frequently asked questions as you step fully into the Conversations with God material. These transcripts will also be available weekly via the Online Learning Portal. 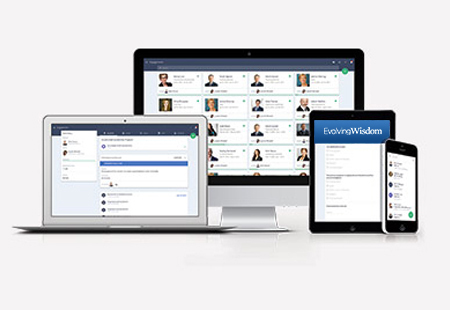 All of your course materials will be easily accessible throughout the course in our custom Online Learning Portal. 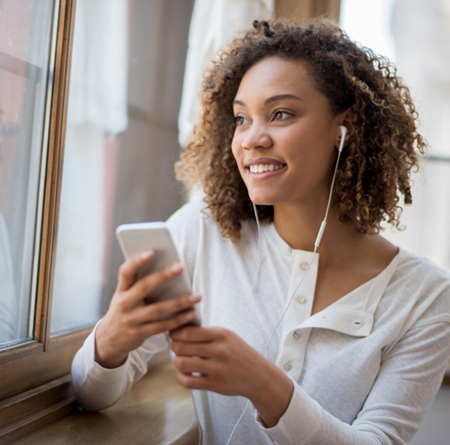 Access course audios, videos, practice guides and transcripts anytime from your computer or mobile device. These course materials are yours to keep forever. Just download them at the end of the course and continue to draw upon them for inspiration and reinforcement during your continuing journey to God and to yourself! In addition, you’ll be able to interact LIVE with hundreds of other kindred spirits who will support you through any challenges you may face as you engage the Conversations with God process. As you go through the course, you will be able to connect with new friends online to share your successes and insights, and watch as their lives begin to open up and transform right alongside yours. At the end of each LIVE Group Coaching Session with Neale, you can join a live 30-minute Interactive Session where we will break you out into small groups to discuss the course content for that week. You’ll have the opportunity to interact directly with other members of your learning community as you dive deeper into the Neale’s Conversations with God process. To complement your course material we have brought together some of the world’s greatest teachers as guest faculty to further enrich your course experience. Have you ever wondered how some people effortlessly receive the miracles they desire… or perhaps how easily you can create a parking spot — but not the love you crave, the career you deserve, or the money you require? Join Neale and Guest Faculty Marianne Williamson for a special online seminar where she will reveal the missing link that connects us to the miraculous. During this audio seminar you’ll discover how to. . .
Release anger and negativity so you can experience miracles every single day. Transcend the destructive power of stress and allow the “mind of spirit” to be in charge of your life from now on. Truly embrace forgiveness, for others and for yourself, giving you access to sources of unlimited love and compassion. Marianne Williamson is an internationally acclaimed spiritual author and lecturer. Six of her ten published books have been New York Times Best Sellers. Four of these have been #1 New York Times Best Sellers. A Return to Love is considered a must-read of The New Spirituality. A paragraph from that book, beginning “Our deepest fear is not that we are inadequate. Our deepest fear is that we are powerful beyond measure …” – often misattributed to Nelson Mandela’s Inaugural address – is considered an anthem for a contemporary generation of seekers. What if you could be more in the moment and less troubled by the little distractions and annoyances in life—more able to focus on the bigger things you sense in your heart that you are meant to do? An how much better would your life be if you could overcome the fear and doubt that so often color your actions and reactions to the things that happen to you? In this powerful seminar, Eckhart explores with Neale (and with you) his groundbreaking ideas about reinventing the way you show up in your own life and in the world. In this powerful seminar, you will discover how to . . .
Be fully present in every moment, so you can operate at your highest level. Quiet the chatter and constant judgement of your mind so you can act from your true self. Understand what the Universe wants from you, so you can fulfill your reason for being here. Find the balance between your physical self and the Divine part of you that is beyond form so you can experience lasting peace and satisfaction. Overcome any addiction you might be suffering from and find a new, more fulfilling way of being. Surrender to the incredible power of not knowing and step into the Now so you can access your Divine creativity and let it flow into the world. Stop your egoic mind from saying “No” to life so you can experience the power and peace that comes from saying “Yes”! After a ten-year spiral into depression, rage, and self-loathing, Byron Katie woke up one morning in a state of joy that has never left her. She realized that when she believed her stressful thoughts, she suffered, but when she questioned them, she didn’t. Through her simple yet powerful process of self-inquiry, called “The Work,” she has shown people around the world how to live in a state of clarity and peace. When you are cut off from the person you truly are, life reflects that back to you with experiences in your job, your relationships and your health that are often the opposite of what you know you want them to be. And worst of all, sometimes even your successes feel empty. The reason this happens is because of the stories you tell yourself about the events of your life—stories which are very often not true. Katie will help you transcend your stories and love what is provided for you in every moment. She will help you be brave enough to find out who are you… without your stories. In this unique seminar, you will discover how to . . .
Tell the difference between what actually happens in your life and the stories you make up about it, so you can let the stories go and become your true self. Do “The Work,” Byron Katie’s powerful process of self-inquiry, so that you’ll be able to question any stressful thought and remain centered. Use a simple and effective process that will return you to yourself when you begin to lose your way in any situation. Stay connected to the wisdom of your soul that is so critical to success and happiness in life. Byron katie is a spiritual teacher whose six books include the bestselling Loving What Is, I Need Your Love – Is That True? and A Thousand Names for Joy. Are you ready to radically shift the way you meet life regardless of the challenges you may be facing? Stop fighting against the raging current of day-to-day circumstances, the ups and downs of financial lack, relationship challenges, health scares, loss and loneliness. Are you ready to experience an energy that knows no judgment… that is never limited by boundaries—that defies logic—that sees no challenges and manifests as magic and miracles? Vibrational catalyst Panache Desai and Neale explore the secret to Living Fearlessly even in the face of tough times. Through Panache’s insightful and effective vibrational teachings and tools, he empowers you to meet the energy of fear head-on, increase your vibration, and immerse yourself in the frequency of unconditional love and possibility. During this incredible seminar, you’ll discover . . . Powerful insights into why your life appears to be falling apart and what’s waiting for you on the other side. The secret to approaching any hardship and how to lovingly expand from fear to love. A process for dislodging the energetic blocks that keep you living as a victim. An energetic transmission that will support you in moving through challenges with grace and ease. Panache Desai is a contemporary spiritual teacher and inspirational visionary whose gift of vibrational transformation has drawn thousands of people from around the world to him. Not aligned with any religious or spiritual tradition, he acts as a direct line to divine consciousness, empowering people to free themselves of pain, suffering, sadness, and self-limiting beliefs. A highly sought-after speaker, Panache recently appeared with Oprah Winfrey on the Emmy® Award-winning series, Super Soul Sunday. He has also been a featured speaker at the OMEGA Institute for Holistic Studies, KRIPALU Center for Yoga and Health, Hay House’s I CAN DO IT!, and in the Huffington Post. His first book, Discovering Your Soul Signature, was released in 2014. Discover how the challenges you face can actually be the key to living your greatest destiny. In this special seminar, you’ll discover . . . The secret to attaining the peace, security, prosperity, happiness and love you crave. Perspectives and insights that will allow you to move beyond your current struggle and into a life of greater abundance. The key to unlocking the flow of new possibilities into your everyday life. How to allow even your negative experiences to teach you something valuable about life, God, and the truly Divine future that awaits you. Barbara Marx Hubbard is a social innovator, speaker, author, educator and leader in the new worldview of conscious evolution. In 1990 Barbara co-founded the Foundation for Conscious Evolution through which she developed the Gateway to Conscious Evolution, a global educational curriculum enrolling participants in the developmental path toward the next stage of human evolution. Dr. Jean Houston is a guiding light in the world. One of the principle founders of the Human Potential Movement, she is a tireless teacher, dynamic speaker, author, innovator and is one of the leading visionary women of our time. Jean is the founder and principal teacher of the Mystery School, dedicated to teaching and exploring the many dimensions of human potential. She is the author of 27 books, including Jump Time: Shaping Your Future in a World of Radical Change and The Wizard of Us: Transformational Lessons from Oz. If you have any questions about this program, please email us at conversationswithgodsupport@evolvingwisdom.com and we’ll be glad to assist you. 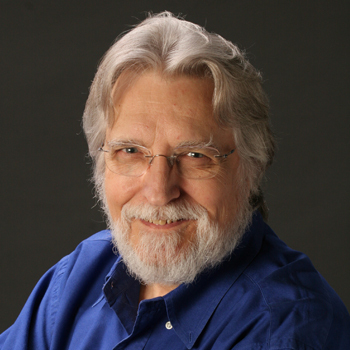 I consent to Neale Donald Walsch collecting my details through this form.